Exotic fruit could be the key to eradicating plant disease and reducing crop loss. Research presented at the International Horticulture Congress in Brisbane this week detailed how tropical papaya is being used as a model crop to identify if the fruit possesses genetic markers or DNA associated with disease resistance. Hawaii Agriculture Research Centre Assistant Professor Judy Zhu is researching and developing methods for improving papaya crop resistance to pathogens through the use of biochemical induction and genetic engineering. “Papaya has a lot of problems in terms of diseases, not only do they have viruses but also fungal diseases,” she said. Dr Zhu believes papaya can be the starting point for the prevention of plant disease. “We can use it as a model so that once we’ve got the knowledge from our papaya work we can apply it to other crops,” Dr Zhu said. 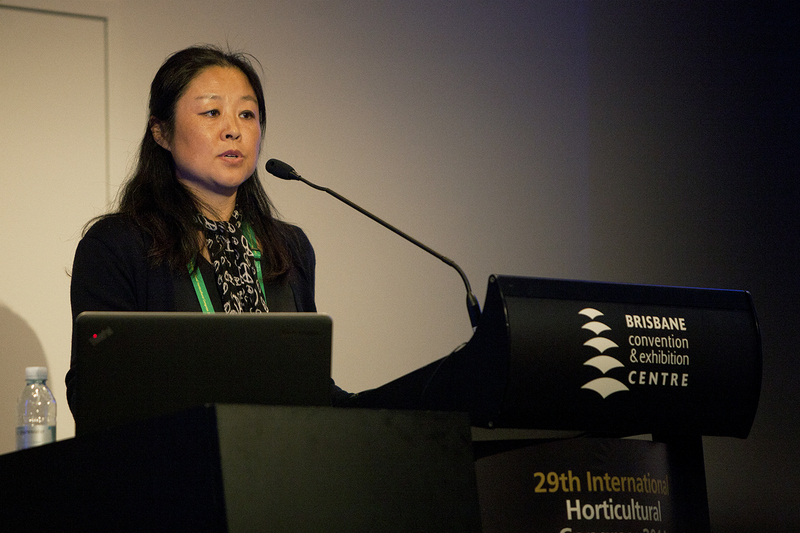 If the research Dr Zhu and her team are conducting is successful, the hope is the method could be applied to crop growth in countries all around the world, including Australia. Dr Zhu said although the research team have had some success,, they have also faced a few difficulties. “Any scientific difficulties we can handle, but there is a lot of political problems surrounding the topic of genetic modification in crops,” she said. Over the years there has been considerable debate over the use of food derived from genetically modified crops and the potential affect of consumption. “We need to educate and inform the public on what we are doing because people have a lot of misconceptions about the process,” she said. Interesting! If the papaya industry in Hawaii is so small though, will their research really be applicable to other countries with a different array of fungal/viral threats? The Hawaiian ecosystem must be quite a closed one, after all….